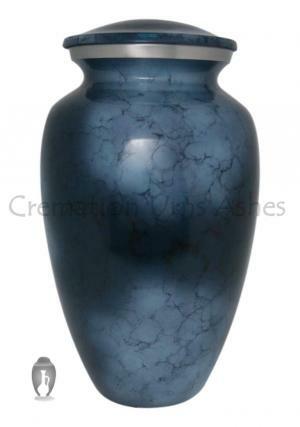 Large Aluminium Denim Blue Urn for Human Cremation Ashes is an aluminium made urn used to preserve last memories of the loved one’s ashes. 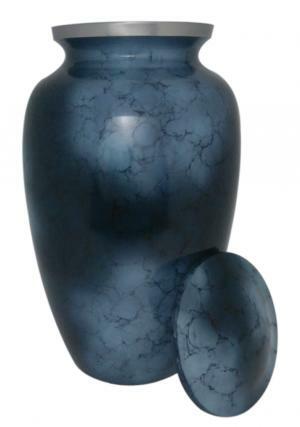 The Aluminium ashes urn is beautifully hand crafted from skilled professionals with the engravings of hand paint in pearl blue. 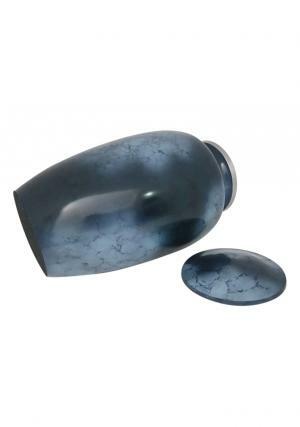 Aluminium Large Adult Cremation urn ashes are secured with screw threading lid with decorated silver band engraving on neck. 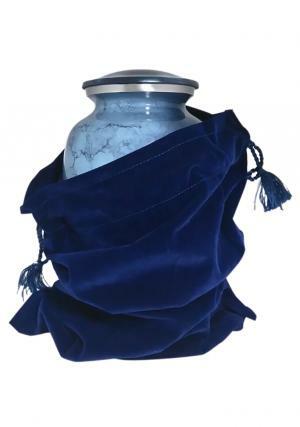 The lid is finished in blue pearl engravings with screw threading to secure the ashe of the adult human in the urn and preserve the presence of the loved one’s demise. 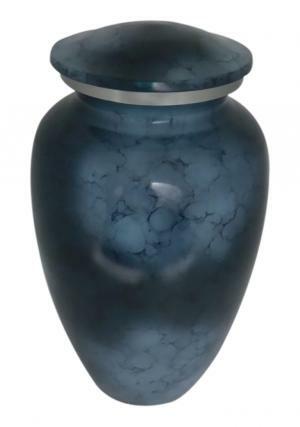 Large Aluminium Urn for Human ashes has a volume space of 200 cubic inch storable ashes with the dimensions as 10.53 inch height, 6.30 inch width and weighs 1.4 kg.